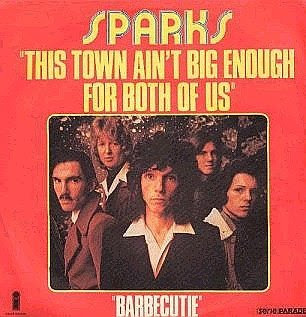 This town ain't big enough for both of us, and it ain't me who's gonna leave"
In mid 1973, after having a couple of albums released as Halfnelson to only a very small loyal following, brothers Ron and Russell Mael moved with their band from their home town Los Angeles to London. 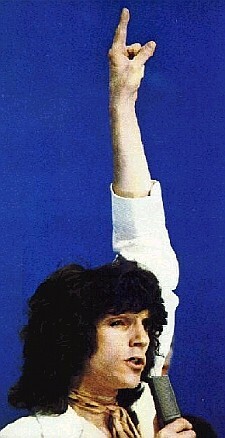 The band changed their name to Sparks and played a prestigous show in London where they were spotted by Island Records. Island said they would sign them and pay for them to remain permanently in England, but they only wanted the Mael brothers themselves, not the rest of the L.A. band. It was a difficult decision to make since the first band was also the first and the last time that Sparks was truly a democracy - five equals and friends. You are a khaki-coloured bombardier, it's Hiroshima that you're nearing"
Russell and Ron moved to England with very few possessions, but more importantly, without any new songs. These days it seems extraordinary that a record company would make the commitment that Island Records made at the time, based solely on liking the band. It was a time when there were people at record companies like Chris Blackwell who signed what they loved musically without analysing former sales or wanting to change what bands were doing. Those were the days! They need their protein just like you do." It took six weeks for the Kimono My House single "This Town Ain't Big Enough For Both Of Us" to begin to be accepted in the U K. (a month longer than any record is given today). Eventually the song scraped into the charts and Sparks were offered 'Top of the Pops'. Island Records rejoiced that this was going to be the massive boost that Sparks needed to break in the UK. 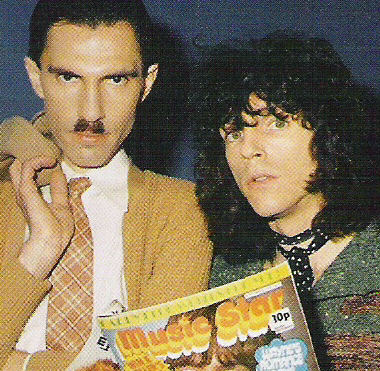 Ron & Russell went into the BBC studios to re-record the song but were pulled us off of at the last moment because the BBC discovered that the Mael brothers weren't part of the Musicians' Union. So Sparks were removed from Top of the Pops that week and replaced by The Rubettes. The Rubettes' song, "Sugar Baby Love", kept Sparks' song out of number one for a month. The bullets cannot cut you down." In 1977 the song ‘This Town Ain't Big Enough for Both of Us’ was covered by Siouxsie & the Banshees on their hit album 'Through the Looking Glass'. Other lesser known groups such as Heaven's Gate and Theory in Practice have also covered the song. 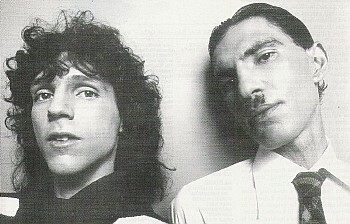 In 1998, the Sparks album 'Plagiarism' was released - it featured two collaborations with Faith No More, 'This Town Ain't Big Enough for the Both of Us' and 'Something for the Girl with Everything'. The former song was also a hit for Justin Hawkins, lead singer of The Darkness. World darts champion Phil Taylor appeared in Justin's video, along with Ron and Russ. And I ain't gonna leave!"